Discover the striking new 60" TV and Component bench from the Fiji Collection. Practical for a mounted or sitting TV, this bench is a beautiful combination of open and concealed storage space. The adjustable center shelf creates a custom storage space to suit you needs. Available in our signature Ravenwood Black finish and made complete with easy touch tempered glass doors this bench effortlessly houses all of your A/V components. Built to accommodate most TVs up to 64 this contemporary furniture by Sonax is proudly built in North America. Accommodates most TVs up to 64"
Fiji 60-inch x 15.75-inch x 19.75-inch TV Stand in Ravenwood Black Discover the striking new 60" TV and Component bench from the Fiji Collection. Practical for a mounted or sitting TV, this bench is a beautiful combination of open and concealed storage space. The adjustable center shelf creates a custom storage space to suit you needs. Available in our signature Ravenwood Black finish and made complete with easy touch tempered glass doors this bench effortlessly houses all of your A/V components. 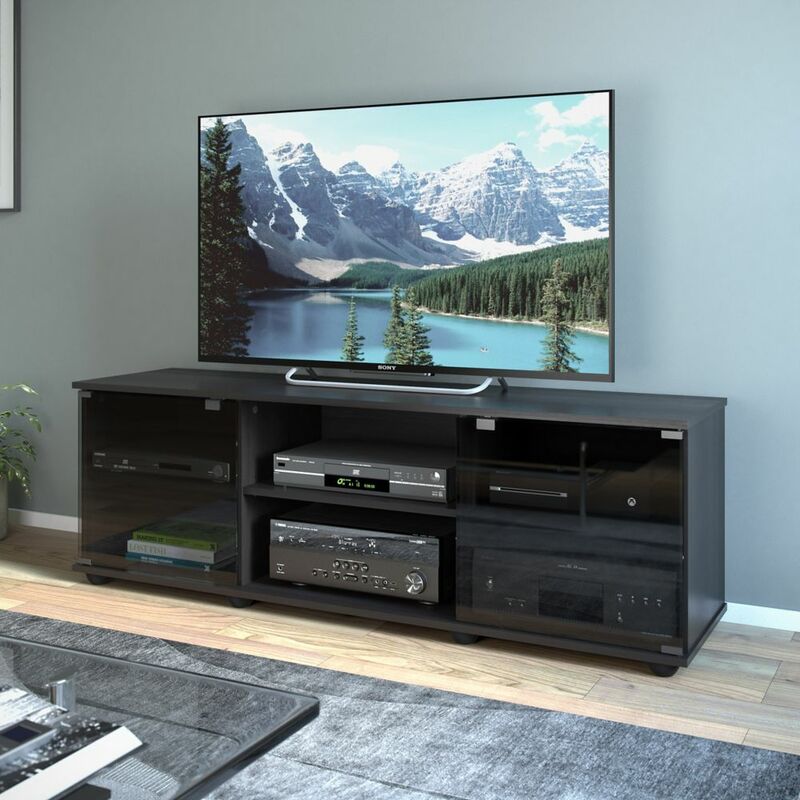 Built to accommodate most TVs up to 64 this contemporary furniture by Sonax is proudly built in North America.